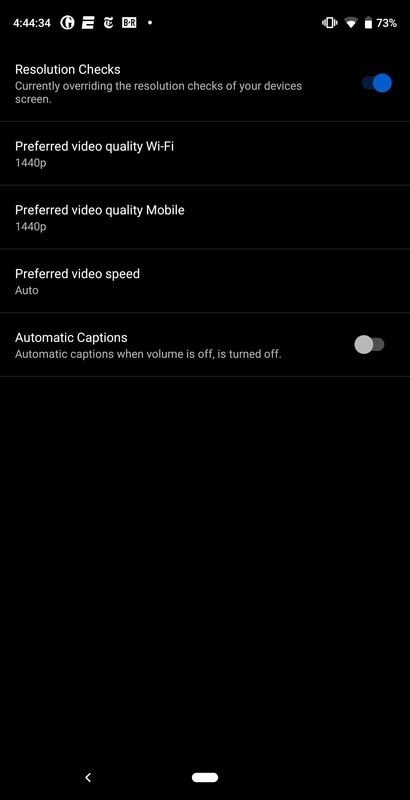 The YouTube app will default to 480p playback when you first open a video. It's supposed to switch to your screen resolution a few seconds in, but this isn't always the case. The regular YouTube app doesn't let you change this behavior, but like most things with Android, there is still a way. There's a modified version of YouTube, known as YouTube Vanced, that packs a number of features not found in the version available on the Play Store. One of those features includes changing the default video quality for when you are on cellular data and Wi-Fi, removing the need to wait for the app to switch over. While there is a method for rooted users, the process we will discuss below does not require root. YouTube Vanced will need to be sideloaded, so make sure "Unknown Sources" or the "Install Unknown Apps" permission is enabled on your phone. 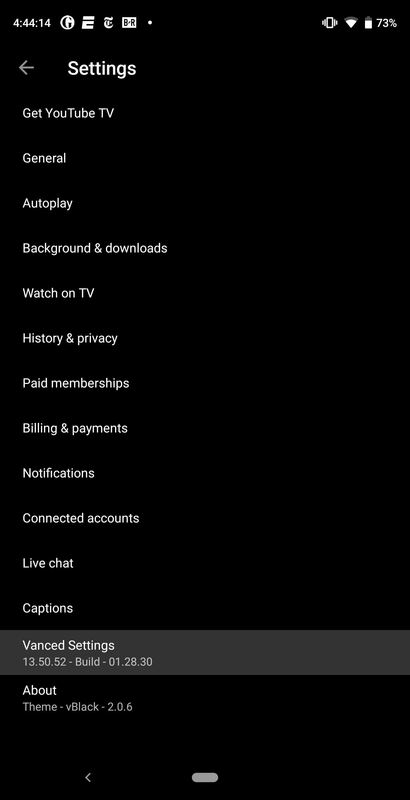 If you want to log into the app with your regular YouTube account to see your subscriptions and watch history, you'll also need to download an add-on called MicroG. MicroG is an open source replacement for Google Play Services, and while that may sound complicated, installing it is as easy as sideloading any other app. To start, tap the link below from your phone and select "MicroG Vanced (New)" to download the add-on, then press "Install" when prompted. Next, head back to the same page and select the first entry on the list to download YouTube Vanced. Again, tap "Install" when prompted. Once you install the app, you will have two YouTube apps on your phone, the default YouTube app and YouTube Vanced. You can easily hide the second app using custom launcher such as Nova. Be warned that because you are sideloading this app, there is a chance that the APK file can contain malware. Unlike the Play Store where apps are reviewed by Google, you are trusting the modders to deliver what they promise. This is a very popular app with a large community of users, so you should be fine, but please, download at your own risk. Now, open YouTube Vanced, and in the upper-right corner, select your profile picture (or the silhouette icon), then choose "Settings." Select "Vanced Settings," then choose "Video Settings." Select "Preferred video quality Mobile" and choose your desired screen resolution for videos that you watch while you're connected to cellular data. After that, select "Preferred video quality Wi-Fi" if you'd like to change the default resolution when using a Wi-Fi connection, then choose a resolution. 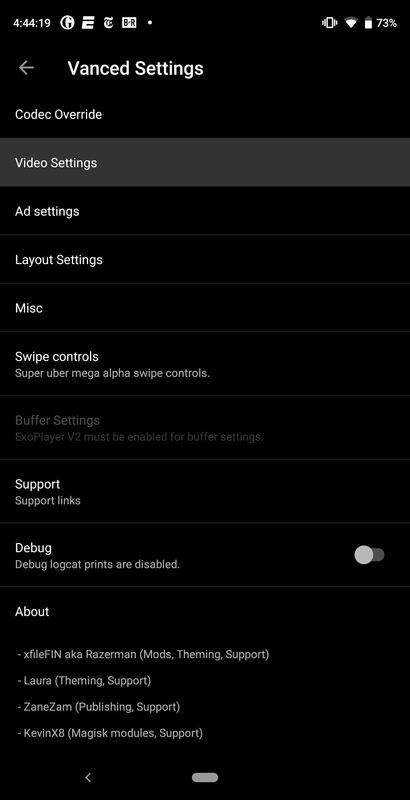 Besides changing the default playback resolution, you can also let your device play videos of higher resolution than your screen. With this extra resolution, the video will be reduced to your screen's resolution, resulting in a sharper image thanks to the additional data. However, be aware that using a higher resolution will consume more data. Therefore, unless you have an unlimited data plan, only default to the higher image (such as 2160p or 4K) on Wi-Fi connection. Once selected, tap your back button until you return to the main page, then open a video. 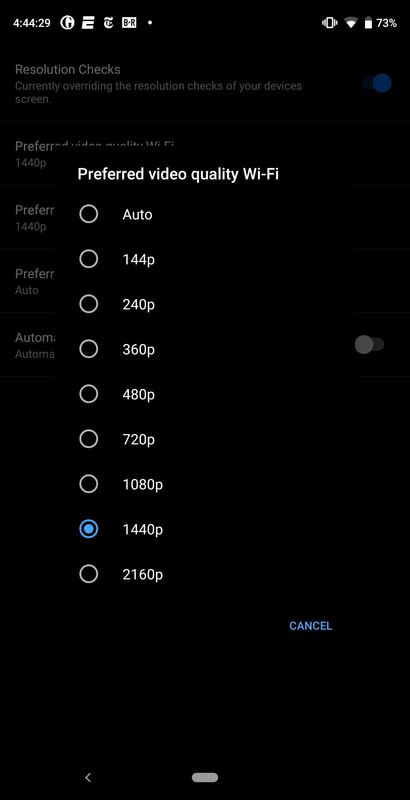 As long as the video creator uploaded the video at your desired resolution (or higher), it should start at that resolution instead of 480p. If you selected a different resolution for Wi-Fi, join a Wi-Fi network and watch another video. Once again, the resolution should default to your choice.